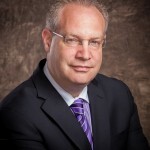 Dr Ronald Cohn, who leads the Duchenne Research Fund’s Scientific Advisory Board, has become the first ever researcher to successfully correct one of the mutations that causes Duchenne muscular dystrophy, working on cells in his laboratory at the Centre for Genetic Medicine at Toronto’s Hospital for Sick Children. There are three main types of genetic error that can cause Duchenne. A ‘deletion’, whereby part of the code that makes up the dystrophin gene is missing; a ‘point mutation’, meaning there is an error somewhere in the code of the dystrophin gene; or a ‘duplication’, whereby part of the code of the dystrophin gene is repeated. There are also many different variations within these three broad categories. Duplication is the rarest of the three, affecting only 12% of Duchenne patients. However, it is the mutation that has most interested the Duchenne Research Fund, as this is the error that affects Gavriel Rosenfeld, the son of our charity’s founders Kerry and Doron, and is often left unexplored. Click here to understand more about Duchenne. Working on some of Gavriel’s own cells, Dr Cohn’s team were able to effectively ‘cut out’ the duplicated part of the gene, returning the gene to its correct state. They achieved this using a revolutionary new technology called CRISPR – a gene editing technique that is more precise, efficient and cheaper than its predecessors. It acts like a genetic pair of scissors that goes in and corrects the gene. With the error removed, the cells were then able to produce normal dystrophin protein, which is essential for repairing and restoring muscles, and which boys with Duchenne lack. Related news: CRISPR named scientific ‘breakthrough of the year’ for 2015. Understand more about Dr Cohn’s team’s work on CRISPR at the Toronto Hospital for Sick Children. Read more about Dr Cohn’s breakthrough on the front page of the Toronto Star. This ground-breaking research has been published in the American Journal of Human Genetics.